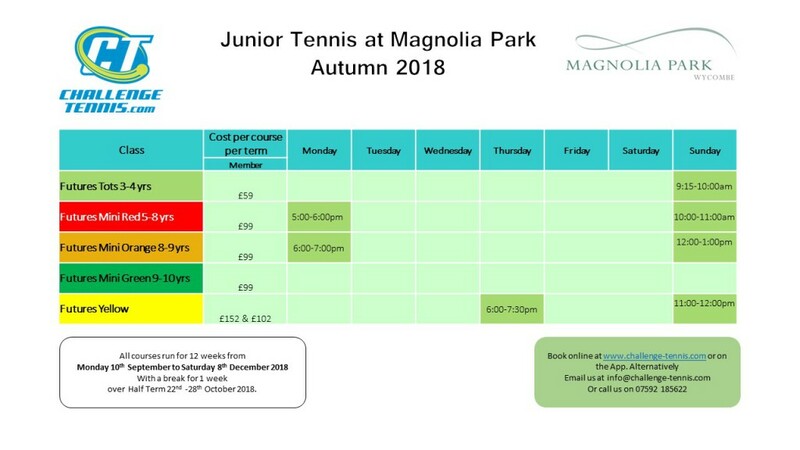 We are proud to be bringing back tennis to the glorious Magnolia Park! We offer coaching for mini’s and junior’s, alongside individual lessons, and adult beginner classes (contact us for times as this is new class). To book a onto a programme or to book individual lessons please click on the link below which will take you to our booking page which is run by MINDBODY software. From there, please choose Challenge-Tennis and log in using the PLAYERS name or create a new login.